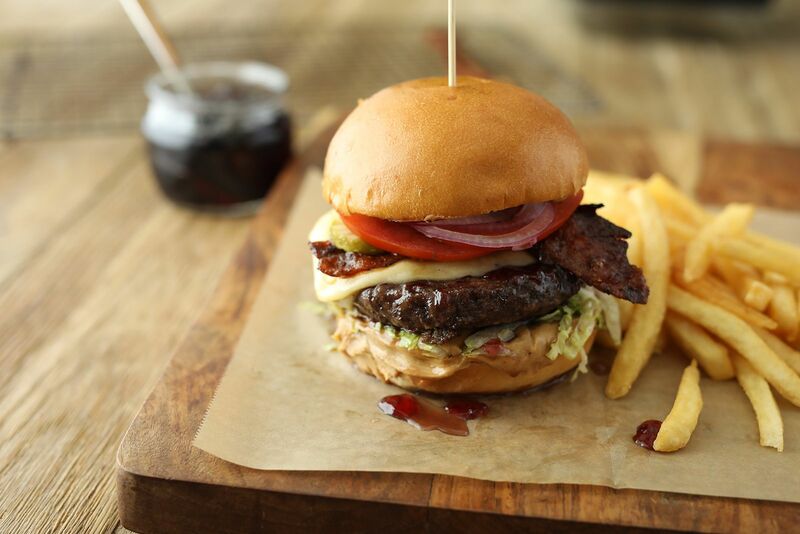 Costa Mesa, CA (RestaurantNews.com) Lazy Dog Restaurant & Bar, the casual dining restaurant known for its handcrafted American food and drink, is coming to the Houston community of Cypress Crossing later this year. The new restaurant will be located in a retail center at the corner of Highway 290 and FM 1960. Lazy Dog’s menu focuses on comfort food with a twist that highlights seasonal ingredients, handcrafted cocktails and a wide selection of craft beers. Inspired by the lifestyle of the Rocky Mountains where founder Chris Simms spent time with family growing up, Lazy Dog offers the perfect environment for a quick weeknight dinner, a meandering meal with old friends or a big night out. The menu features seasonally inspired dishes and a variety of favorites with a Lazy Dog flair. Lazy Dog’s seasonal offerings include new small plates such as Crispy Deviled Eggs and Roasted Winter Vegetables, entrees such as Spaghetti Squash and Beetballs, a vegetarian take on the classic, Bone-in Apple-Sage Pork Chops, BBQ Bison Meatloaf and desserts including a Seven-Layer Chocolate Cake and Apple-Huckleberry Open Face Pie, all made in house from scratch. To complement the food, Lazy Dog’s bar features a variety of handcrafted cocktails including a new Meyer Lemon Margarita made with small-batch Lunazul tequila and beers like the Huckleberry Haze IPA. Designed to feel like a Rocky Mountain Wyoming escape, Lazy Dog’s warm interior will be complete with lodge-inspired furnishings such as cozy fireplaces, ledge stone, a chandelier crafted from Aspen logs, and artwork reminiscent of the Cowboy State. Multiple flat-screen TVs will be installed throughout the bar and patio areas so that guests may cheer on their favorite sports teams, and a dog-friendly patio will offer a special menu for dogs featuring grilled meats and brown rice. Lazy Dog also offers brunch on the weekends, daily happy hour and late-night offerings. For additional information about Lazy Dog Restaurant & Bar, please visit www.lazydogrestaurants.com. Lazy Dog was represented by CBRE’s Lacee Jacobs & Bar in securing this new location. Inspired by the lifestyle of the Rocky Mountains where founder Chris Simms spent time with family growing up, Lazy Dog offers the perfect environment for a quick weeknight dinner, a meandering meal with old friends or a big night out. The first Lazy Dog restaurant opened in the Huntington Beach area, California, in 2003 and showcased an eclectic menu of memorable family favorites reinterpreted with bold new flavors and served with small-town hospitality. Open for lunch, dinner and weekend brunch with a full bar program that includes unique and approachable specialty cocktails, a wide selection of craft beers and the Lazy Dog Beer Club, a quarterly membership created by beer lovers for beer lovers. Lazy Dog has 30 locations throughout California, Colorado, Illinois, Nevada and Texas with more on the way. For more information visit www.lazydogrestaurants.com.